Excuse Me, Is This Your Shrapnel? Win the game on "Easy" Combat Difficulty. I Bumped Him And He Blew Up! Win the game on "You Are So OP" Combat Difficulty. Win the game on "Normal" Combat Difficulty. Win the game on "Hard" Combat Difficulty. Thought My Way Out Of That One! Win the game on "Easy" Strategic Difficulty. Win the game on "Normal" Strategic Difficulty. Win the game on "Hard" Strategic Difficulty. Win the game with all 8 races in the Federation. 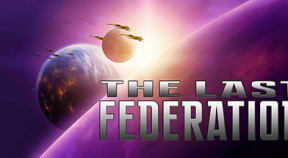 Win the game with only the Skylaxians, Andors, and Peltians in the Federation. Win the game with only the Acutians, Burlusts, and Thoraxians in the Federation. Win the game with no more than 4 planets still intact. Win the game while holding at least one space outpost, and no other races holding any. Win the game on "Harder" Combat Difficulty. Win the game while having more than 0 influence over every living race. Win the game while having less than 0 influence over every living race. Win the game while a Pirate Empire still exists. Win the game with only the Acutians still alive. Win the game with only the Andors still alive. Win the game with only the Boarines still alive. Win the game with only the Burlusts still alive. Win the game with only the Evucks still alive. Win the game with only the Peltians still alive. Win the game with only the Skylaxians still alive. Win the game with only the Thoraxians still alive. Have at least 8 distinct diseases occur in one game. Defeat four Burlust Warlords in duels in one game. Win a game without doing any Friendly Actions. Prevent the Evucks from igniting a gas giant, after they start the countdown. Win a game without unlocking any additional Hydral Technology. Win a game after the Trifecta Of Superiority has formed. Win a game after the Thoraxian Protectorate has formed. Win a game after the Union Of Independent States has formed. Win a game after a Fear Empire has formed. Win a game after the Solar Axis Pact has formed. See The Violence Inherent In The... Wait, What? Win a game without ever doing any contracts or political deals to suppress the Anti-Federation Alliance. Win a game without ever doing any Planetary Advice contracts on any planet. Win a game after bringing spacefaring technology to 7 planets. By your own actions, scare 10,000 ships into trying to run away (across any number of games). Win a game after launching a Planetcracker with the Acutians (and thus having everyone else hate you). Win a game in which no pirate bases were destroyed. Win a game with no planets ever changing hands between races. Win a game without ever failing a contract. Win a game with at least two races having left the Federation to join The Betrayed. Die in battle, thus losing the game. Every story's different, give it another try! Win a game started with the Acutians. Win a game started with the Andors. Win a game started with the Burlusts. Win a game started with the Boarines. Win a game started with the Evucks. Win a game started with the Peltians. Win a game started with the Skylaxians. Thoraxians: A Hivemind Of Nightmare Death Machines, What Could Go Wrong? Win a game started with the Thoraxians. Win a Betrayal game on Easy strategic difficulty. Win a Betrayal game on Normal strategic difficulty. ... Fool Me Twice, Shame On Me. Win a Betrayal game on Hard strategic difficulty. Win a Betrayal game with no more than 4 planets left intact. Win a Betrayal game having controlled no more than 10 armadas. Win a Betrayal game having controlled no more than 8 armadas. Win a Betrayal game having controlled no more than 6 armadas. Win a Betrayal game having controlled no more than 4 armadas. Win a Betrayal game without ever having one of your planets captured by another race. Win a Betrayal game without ever having one of your planets or outposts captured by another race. Win a Betrayal game without using credits to create or upgrade armadas, instead relying entirely on resources for that. Win an Invasion game on Easy strategic difficulty. Win an Invasion game on Normal strategic difficulty. Win an Invasion game on Hard strategic difficulty. Win an Invasion game with no more than 4 planets left intact. Win an Invasion game without the Obscura ever taking a second planet. What Invasion? That Splat On The Windshield? Win an Invasion game without the Obscura ever capturing an outpost. Win an Invasion game after the Obscura owned at least 4 planets. Win an Invasion game after the Obscura owned at least 6 planets. Win a Tech Race game. Win a Tech Race in concert with another race. Win a Tech Race game with all eight races surviving. Win a game after a Technocracy has formed. Win a game after the Society of Gentle Persons has formed. Win a game after a Perfect Utopia formed. Unlock 8 of the unique Hydral technology items. Have a Ring World get destroyed by either the Acutians or the Evucks.